MISSOULA - Family members are worried about a 16-year-old Big Sky High student who hasn't been seen since April 3. 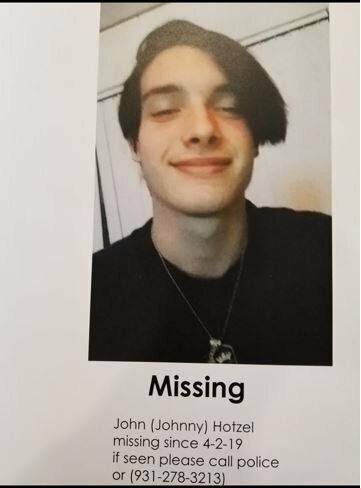 Missoula police say Johnny Hotzel, 16, hasn't been seen since last Wednesday April 3. His parents dropped him off at school around 9 AM but he wasn't marked as attending any class that day. "Johnny is described as having a pierced tongue, and was believed to be wearing grey sweatpants when he was dropped off at school. He is a white male standing approximately 5'8 and weighs about 170 lbs. He is said to have brown eyes, and black hair." Anyone with information is asked to call Officer Lloyd at 552-6300, or call (406) 728-2400, extension 8053.